Mr Robert Sichinga Jnr is Zambia's Honorary Consul and Chief of Post for the Republic of Zambia in California. He will perform delegated functions on behalf of the Embassy of the Republic of Zambia. Robert Sichinga was born and raised in Zambia and moved to the United States in 1996. He possesses a master's degree in business administration, and a Master of Science degree in healthcare administration. He has been employed in the pharmaceutical industry for over 12 years in different capacities. He is a member of the American College of Healthcare Executives and his professional background includes management, teaching as an adjunct professor in the School of Business, managed healthcare, real-estate investment, and business development and consulting. For over 15 years, Robert has exhibited an unrelenting passion for Zambia as is evident in his activities. He is the founder of the Zambia-USA Chamber of Commerce, an organization whose primary interest is in promoting and developing commercial and industrial opportunities between the United States of America and Zambia. He also runs Strategic Shift, a business consulting practice whose services include strategic planning and business coaching. Strategic Shift also has an agreement with a Zambian stock brokerage firm to facilitate investment into Zambia's financial markets. 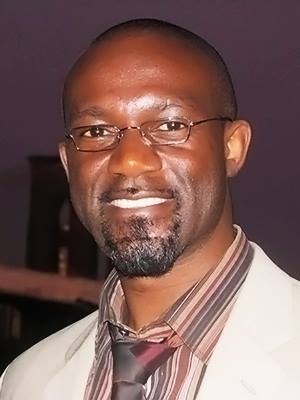 In addition to his own newsletters, Robert has used various platforms to expose Zambia as a desirable destination both for business and leisure. Since 2009, he has been a contributor to the Black Business News Group in their international edition. He also contributes to the online publication, Africa Speaks For Africa, and since 2013, has been a contributor to the Zambia-South Africa Chamber of Commerce publication. He has represented Zambia on panel discussions and summits and has sat on several boards for organizations with a focus on Africa.